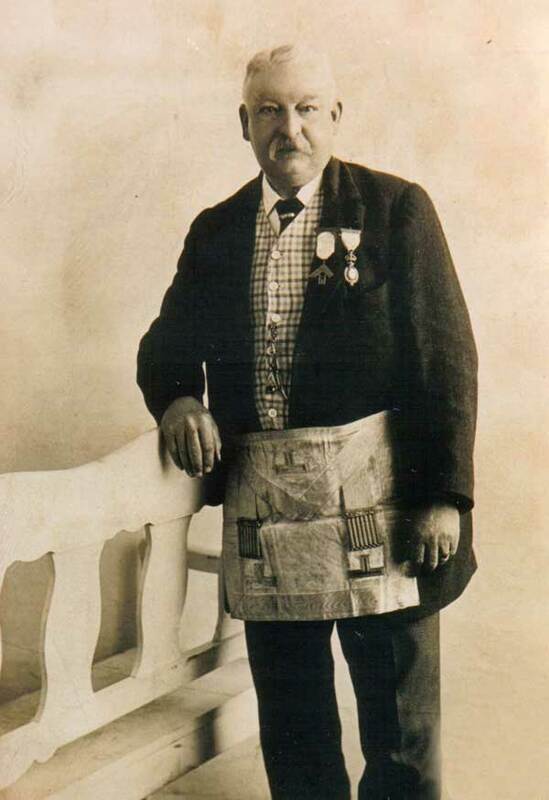 Between 1885 and 1900 John Dawes was one of the leading tradesmen in the village. He certainly was an enterprising business man. As well as trading he was tithe collector, highway surveyor, collector of taxes and secretary to the local coke and gaslight company. He appeared in various Directories. He had started off his working life as an apprentice to his grandfather Thomas Dawes, coal merchant. 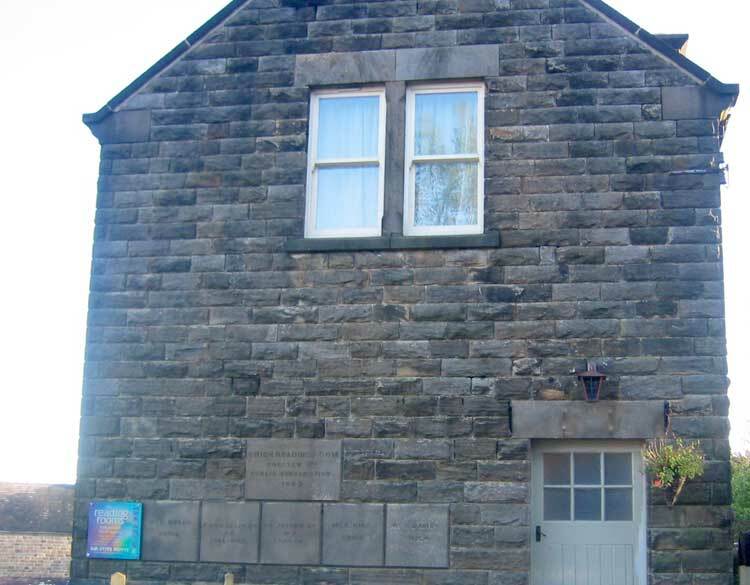 John Dawes was a supporter of the Crich Reading Rooms and his name appears on one of the foundation stones. 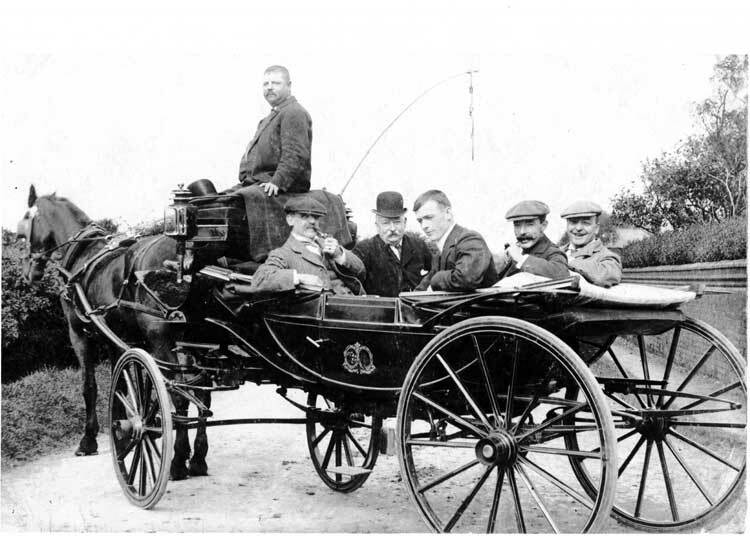 The following photograph shows him grand style in horse and carriage with friends and relations. Left to right: Arthur Haynes, John Dawes (bowler hatted), Arthur Gaunt (hatless) James Henry Dawes, Samuel Dawes. It is presumed that the coach belonged to the Duke of Devonshire (George Wragg was his coachman). George Wragg kept the Three Horseshoes at Lea and hired out horse and traps. He makes appearances in the Denam Mason Diary on this site. John was grandfather to Dr Geoff Dawes, local historian and author.